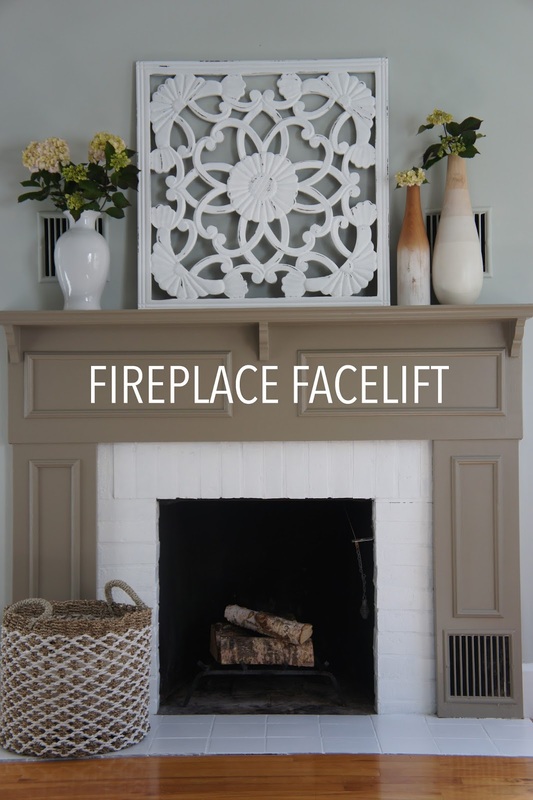 Project House to Home: Fireplace and Closet Makeover with Behr Paint! Almost a year ago, I was contacted by Behr Paint and asked to do a couple of projects for their new Designer Stories website. 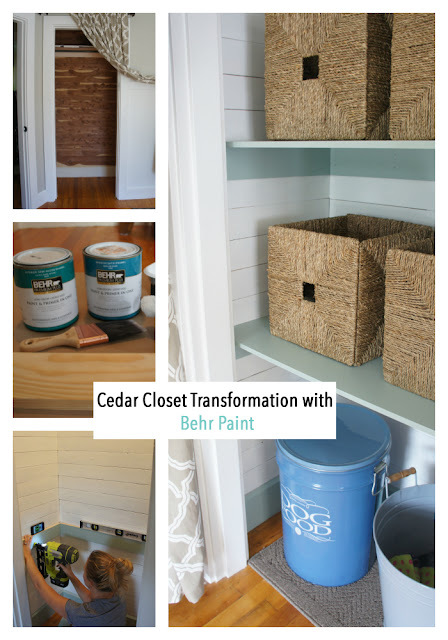 The challenge was to transform a couple of spaces in my home using Behr paint. Of course I was eager to participate since my fixer-upper is still a work in progress and I know the power of paint! I had to keep these projects hush hush until the Designer Stories site launched, but now that it's officially live, I can finally share them with you! (The site actually went live in March. Please don't judge me. I'm blaming it on pregnancy brain). The first project I tackled was transforming a dark cedar closet in my office to light, open shelving. And for the second project, I updated my dated red brick fireplace using nothing but paint! Head over to the Designer Stories website to read the full posts including step-by-step instructions on how you can tackle these projects at home! While you're there, check out the other projects completed by the other Designer Stories designers for some great inspiration! So cool Jess! Love the makeovers and congrats on working with Behr!